The Brazoria County Office of Emergency Management recently released a free mobile app, ReadyBrazoriaCounty, just in time for hurricane season. The app will help residents build a personal preparedness plan and receive real-time updates during emergencies from Brazoria County Office of Emergency Management. 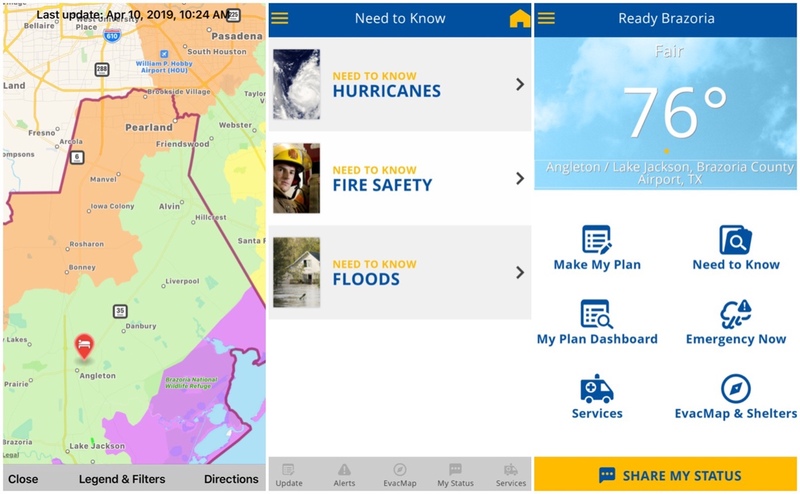 The ReadyBrazoriaCounty app also delivers real-time weather alerts from the National Weather Service, hosts a step-by-step guide to building a personalized family disaster plan, maps, evacuation routes and locates local emergency services. The app is available in both English and Spanish. With the convenience of receiving real-time emergency information and updates on a smartphone, developing a personalized preparedness plan is just as easy and right at your fingertips. Being prepared through the easy step-by-step guide built into the app could help save lives by having a plan, making a kit and staying informed. The app also includes a "Need to Know" section that offers quick tips on: Hurricanes, fire safety and floods. The Ready Brazoria County app is a tool to help keep the residents of Brazoria County prepared and informed. The free app is available for download through the "App Store" if using an iPhone or "Google Play" if using an Android smartphone as ReadyBrazoriaCounty. Can you get the alerts on your computer?